00:43 – Jason introduces the News Roundtable episode, where he and his guests go through all of the latest tech news. Jason is joined by The Gadget Guy/Founder of NewAer, Dave Mathews, as well as Ryan Hoover, founder of Product Hunt & Weekend Fund. 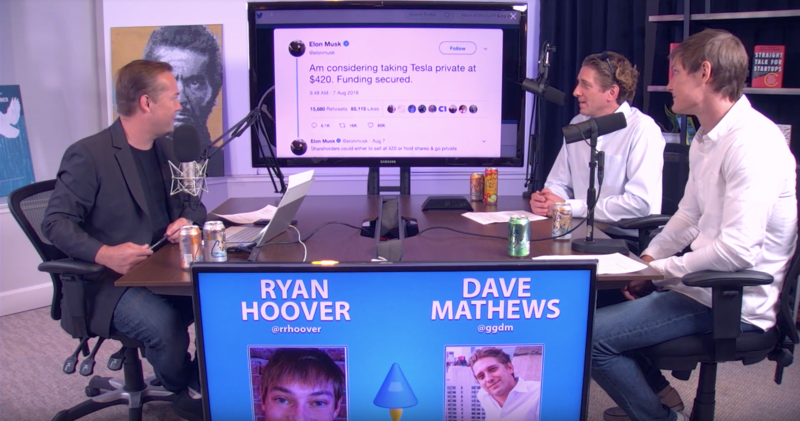 9:08 – Jason, Dave, and Ryan discuss the news of Elon Musk publicly sharing the prospect of taking Tesla private, and what this entails. Why does Elon want to go private? 11:39 – Jason asks if Elon Musk should be using Twitter as the primary medium to share news related to Tesla, or any of his companies. Ryan raises the point that Twitter needs to be publicly accepted as a platform for serious news to be shared, and for users to consider context – and the individual tweeting when deciding what to believe. 14:32 – Jason argues that a CEO’s use of Twitter as a sounding board for their thoughts or ideas is complete transparency for those investing in their ideas. 15:44 – Big thank you to our sponsor, Squarespace. Visit www.squarespace.com/twist to save 10% off your first purchase of a website or domain. 19:31 – Jason share’s his take on why shorting Tesla is a bad idea. 23:27 – Dave & Ryan explores what happened with Twitter when 20% of their shares were lost after getting rid of millions of fake accounts. 24:59 – Jason explains the problem of having anonymity on a platform like Twitter. “Twitter has no product leadership,” Ryan argues the positives of allowing for pseudonyms and anonymity. 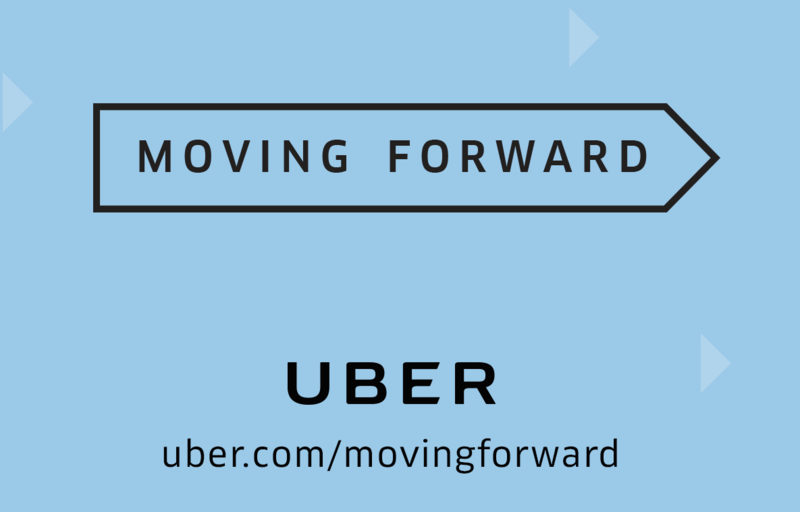 28:40 – Big thank you to our sponsor, Uber! Visit www.uber.com to keep up with all of the great work, and improvements the company is making to make both the rider and driver experience the most enjoyable. 37:34 – Ryan explains what Discord is all about and what the importance of the platform to the gaming community. 40:11 – The roundtable discusses the news of Doug Field leaving Tesla to work for Apple. Doug was overseeing Model 3 production at Tesla. 48:35 – Launch Scale is coming to San Fransisco Oct 10th-11th. Go to www.launchscale.net/tickets to book your spot! 56:02 – The Roundtable discuss the Plexbox, and what makes it a unique product. 1:00:23 – Jason shares a PSA to the CEO of Comcast. Jason is not pleased! 1:03:29 – Thank you to our sponsor, Linkedin! 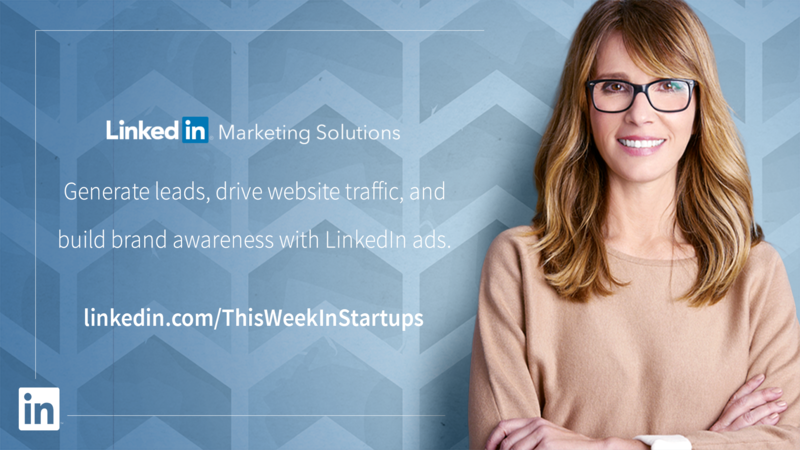 visit www.linkedin.com/ThisWeekInStartups to receive $100 in Linkedin credit to put towards a hiring campaign. 1:06:13 – The Roundtable wraps the conversation up, on the topic of bike sharing & scooters.